Join us for one or all of our Open Houses. February 6th, March 7th and April 10th from 9:00 AM - 12:00 PM. Join us for a look into our daily life as members of the SJDLS family! 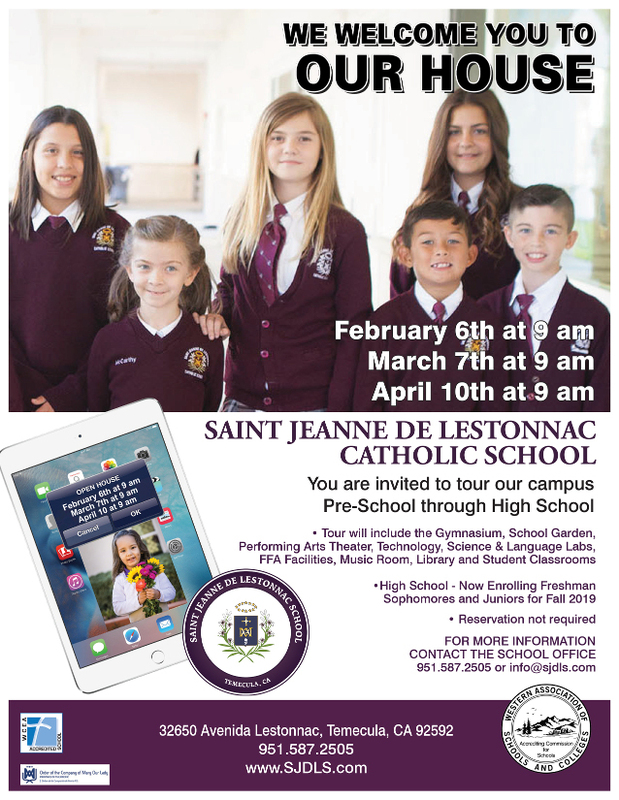 Our Administrative Team, Teachers, Student Ambassadors and Parents will be available to share and answer questions about our Academics, Admissions, Tuition, Philosophy, Athletics, Activities, Ministry, and more.